Learn how to calibrate a meter that is giving you trouble or erroneous readouts. I began a new project today after a temporary hiatus from hydro, and low and behold I noticed that when I put my pH meter into my tap water, which normally rests at 7-9pH, I noticed it read as having a pH of 11. The thing is a year old and has never been calibrated, so I had to re-calibrate it, a process which took a total of 3 minutes and now it is good as new. In this brief tutorial, we will go through the steps of how to calibrate your meter if it has begun giving erroneous pH readings, a common occurrence especially once the meter has been stored for a long period. Check out the video tutorial at the bottom for a visual on how it’s done. 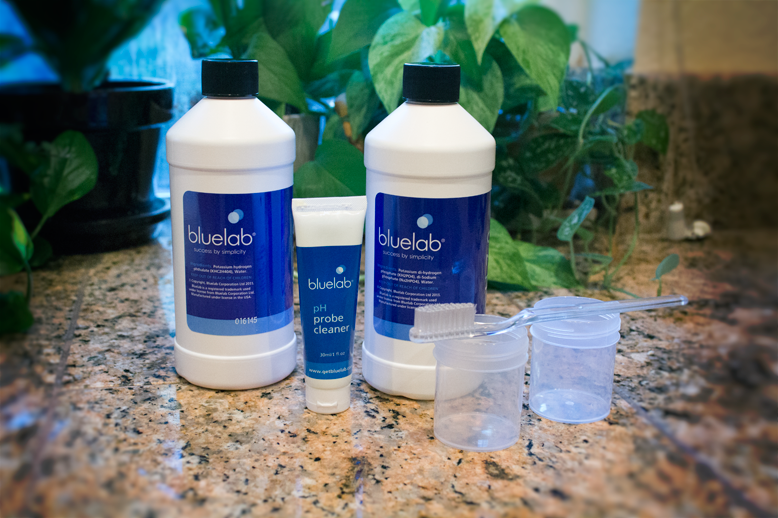 We are using the Bluelab pH Probe Cleaning and Calibration Kit in this tutorial. 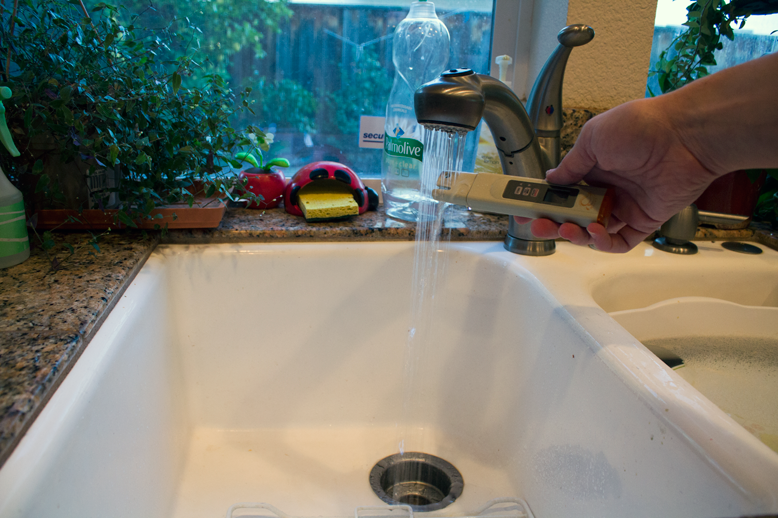 Rinse your pH meter under some cool tap water for a few seconds. Find a plastic cup or container and fill it with a solution of water with a drop or two of dish detergent. 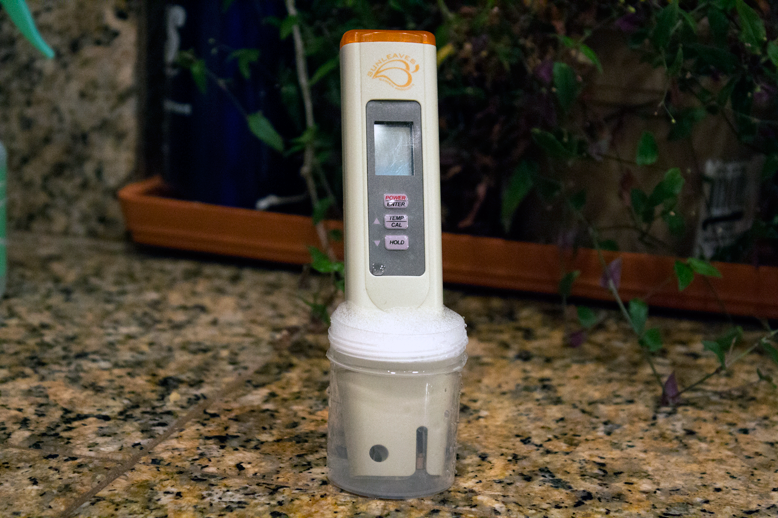 Gentle swish around the pH meter to loosen up any gunk that may be on the bulb or wick. Preferably, you should not use a glass or metal container for this step, as the glass bulb is very sensitive and shatters easily. 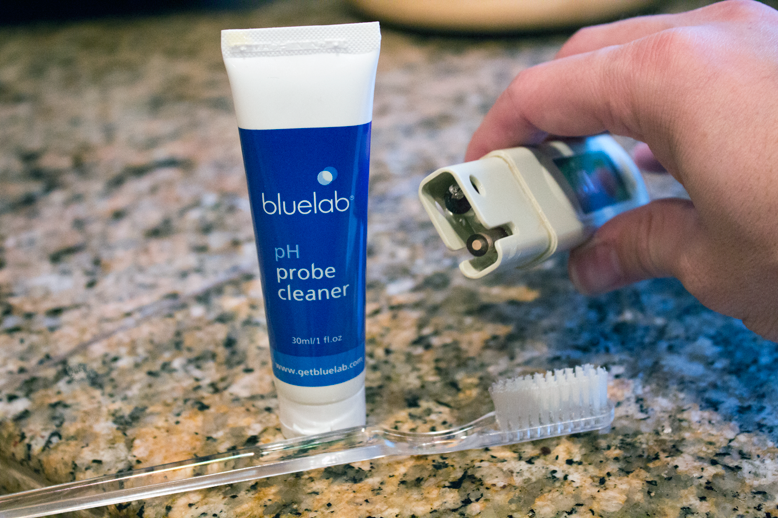 Take a clean toothbrush and some probe cleaner and gently brush away any grime or residue that may be residing on the bulb or wick of the pH meter. Remember, be gentle, the bulb breaks easily and a light scrub should be more than enough. Note: If you don’t feel like buying probe cleaner, you can use a light amount of dish soap instead. Now that we have the bulb and wick nice and clean and ready for calibration, let’s run it under some cold water in the sink again for a few seconds just to get rid of any excess detergent/probe cleaning solution. Now that our pH meter is nice and clean, we can proceed with calibrating it. The way we calibrate the meter is simple, and is the same for all meters of all types and brands: You find a solution that is a consistent pH7, and pH4, and then drunk the meter into it and hit the calibrate button. Once for the pH7 solution, and once again for the pH4 solution (washing in between of course). This allows you to set what we know to be a liquid with a pH of 7, and that of a pH 4, that way the meter always gives accurate readings. 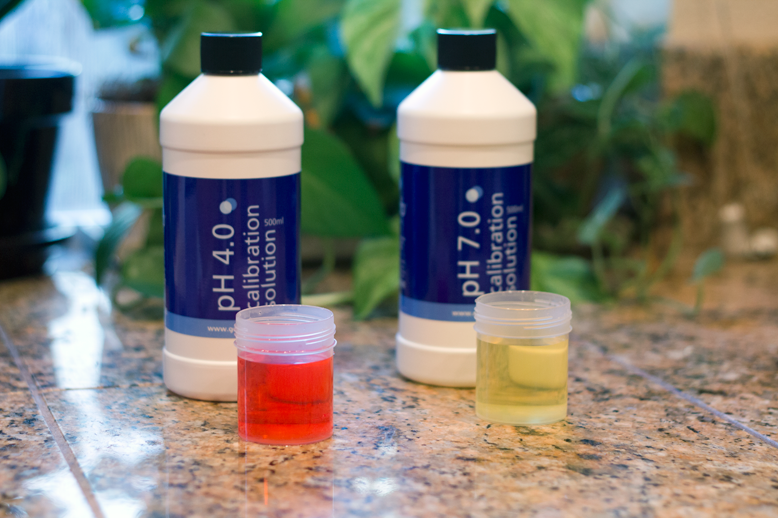 First, pour the pH 7 and pH4 solutions into two separate plastic containers as shown above. Press and hold the “Calibrate” (Often times printed as “CAL” on the meter) button and choose either 7 or 4 on the meter depending on which solution you plan on calibrating to first. We will start with the 7. Once it is finished calibrating (should take about 4 seconds), turn the meter off, remove it from the pH7 solution, and then turn it back on and take a reading. This is just to ensure that the calibration was successful and that it reads a solid 7.0. 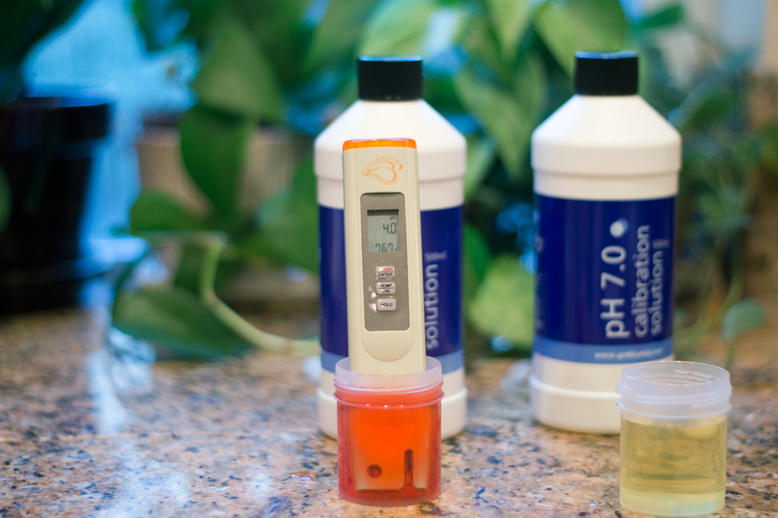 Now that you have taught the pH meter what a proper pH reading of 7 & 4 looks like, you are ready to get back to the real work and use your pH meter to ensure your plants are growing in the optimum level of acidity. Please post any comments or questions you may have below and I will be sure to respond. 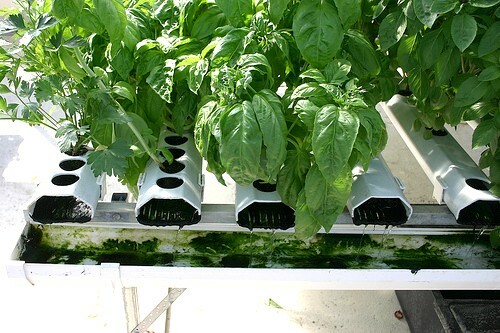 Note that General Hydroponics also makes a similar kit that is priced the same, I just chose this one because frankly they are both the same and GH has already gotten enough of my money.